Vulnerability is a relentless fact of life for families in the developing world. We were yet again reminded of that sad truth this past week when, with little warning, the Fuego volcano in south-central Guatemala erupted. The resulting flow of lava, ash and pyroclastic material has brought devastation to a widespread area. As of this writing, more than 200 people are still missing and the death toll exceeds 100. As rescue and recovery workers gain greater access to the most heavily impacted areas, that number is expected to rise. The people confronted with this tragedy enter in fellowship with those whose lives have been disrupted by other recent volcanic activity, including the Mayon volcano in the Philippines and Mount Kilauea in Hawaii. A long period of recovery awaits those affected by these events, including many in the Unbound community. As they face the challenges ahead, they will be strengthened by their resilient spirit and encouraged by our care and that of other loving people. Read more about the eruption of the Fuego volcano and its impact on the Unbound community. Donate to Disaster Response to help Unbound provide assistance to families affected by events like the eruption of the Fuego volcano. 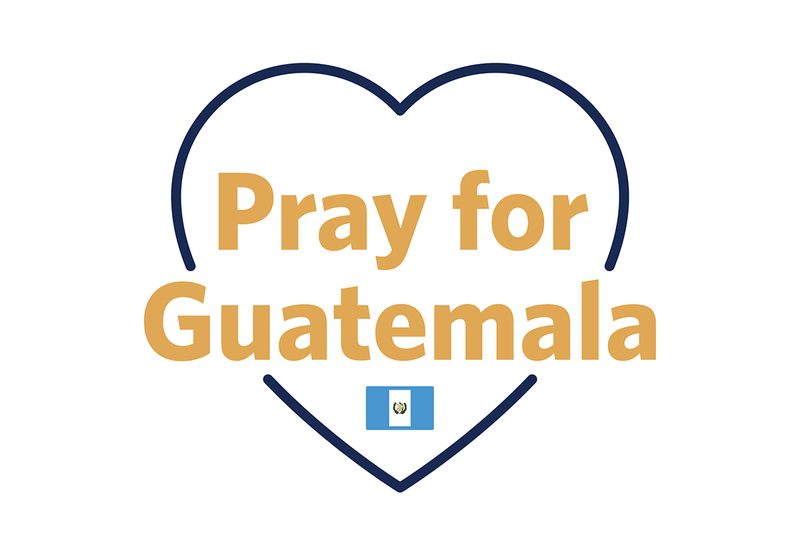 God of compassion, bless and sustain the people of Guatemala. Console the grieving and give them hope as they seek to rebuild their lives. May we be part of their blessing, pouring out our love in acts of generosity and service. As we commit ourselves to living as their compañeros — their companions on the long journey toward wholeness — help us to never forget that we are your hands in the world, not just for a moment but always. We ask this in your most holy name. Amen. 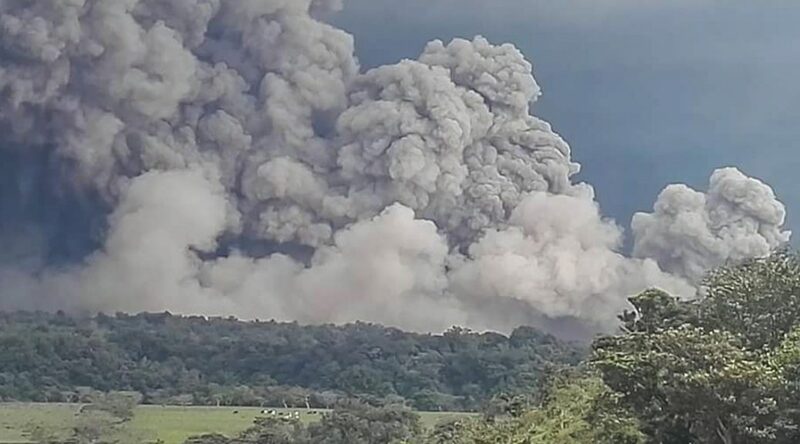 Ash clouds from the eruption of Guatemala’s Fuego volcano threaten farmland. 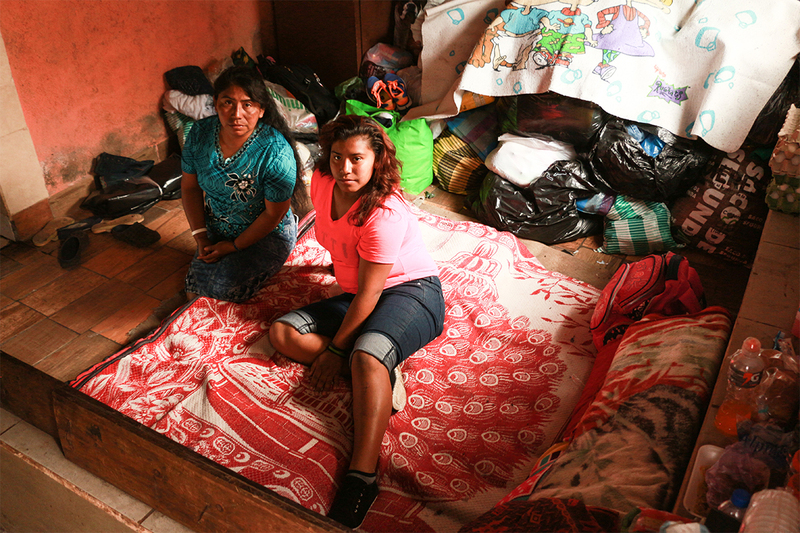 Unbound staff check on a family affected by ash from the June 3 eruption of Guatemala’s Fuego volcano. The immediate danger from the Fuego volcano is far from over, but even after it passes consequences will likely be felt by the people of south-central Guatemala for years. The first concerns will be caring for survivors, accounting for the missing and burying the dead. The official death toll as of June 7 was 109 with nearly 200 missing, but those figures will almost certainly rise as rescue and recovery workers are able to progress into the areas of greatest impact, where up until now efforts have been hampered by the severe conditions. 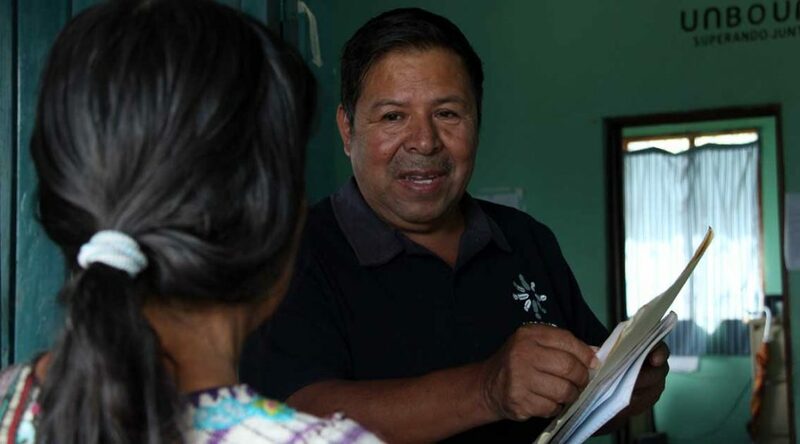 Local Unbound staff members are working to account for all sponsored persons and their families in hard-hit areas, all of which are served by the Unbound Hermano Pedro ECA program. At this time staff members have been able to verify that most are safe in either evacuation shelters or the homes of relatives. Nine families remain unaccounted for and efforts to contact them have, so far, been unsuccessful. In times of natural disasters and other emergencies, Unbound will notify sponsors directly if we learn that their sponsored friends have been injured or otherwise seriously affected. 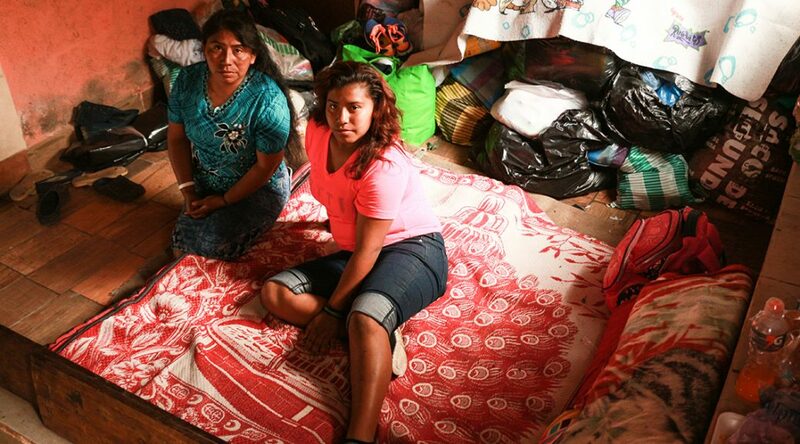 When those now residing in evacuation shelters are able to return to their homes, the effects of the volcano will endure. According to the Volcano Hazards Program of the U.S. Geological Survey, “Ashfall can have significant impacts on crops much like pasture land. Physical impacts from additional weight of ash on leaves, partial burial and stem/branch snapping all prevent the plants natural processes such as photosynthesis, transpiration and water content leading to crop failure.” Such a widespread failure will not only impact local farmers, but be felt throughout the rest of Guatemala and the other Central and South American countries that import their produce. Even if any agricultural products do survive, transporting them may be a challenge, according to Unbound’s director of international programs, Dan Pearson, who has been closely monitoring the situation in Guatemala. To make matters worse, it’s now the rainy season in Guatemala, and people there are in a race against time to try to clear as much ash as possible from plants and roads before the heaviest rains come. The combination of rain and volcanic ash produces a concrete-like substance that blocks waterways and clogs drainage systems, leading to even worse flash flooding than usual. 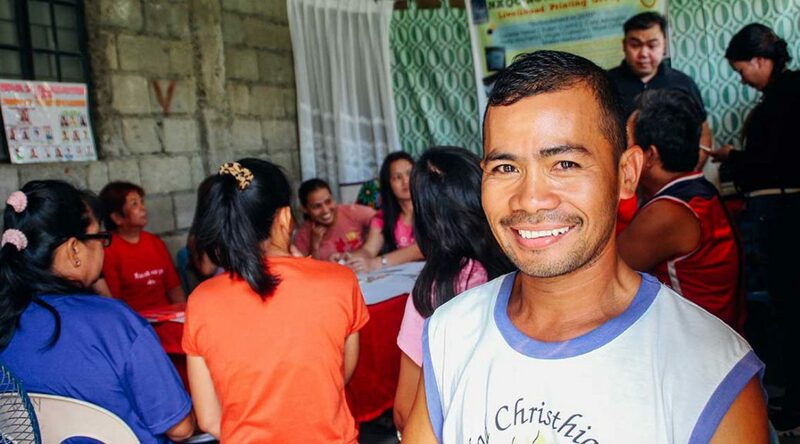 The rainy season always brings health hazards in the form of respiratory and water-borne diseases, but with so many displaced persons living in close proximity in shelters, those hazards will likely increase. 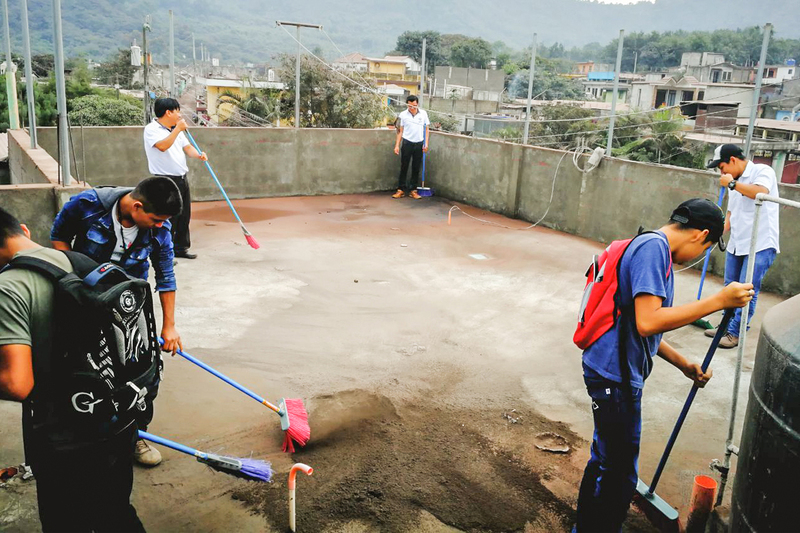 Staff members from Unbound’s Hermano Pedro and Atitlan programs are working to assist people affected by the volcano. As the level of need becomes clearer, they will be available to support sponsored members and their families in their long-term recovery. Donate to Disaster Response. Unbound’s Disaster Response fund provides assistance to families in the aftermath of events like the eruption of the Fuego volcano. Make sure your contact information is up to date. In times of natural disaster, Unbound notifies sponsors personally if we learn that their sponsored friends have been injured or otherwise seriously impacted, so keeping your information up to date is important. Pray. The Unbound community holds all those affected and those assisting with rescue efforts in our thoughts and prayers. Check here for updates. We’ll continue to update our blog as we receive additional information. 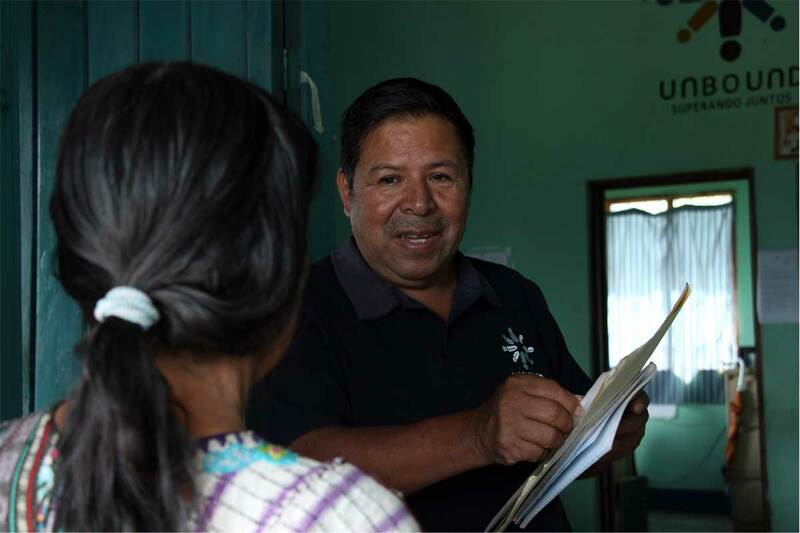 Unbound staff members in Guatemala are continuing their efforts to confirm the safety of families who live in an area included in the immediate disaster zone of the volcanic eruption and are served through our Hermano Pedro ECA program. As of June 7, efforts to communicate with nine families of our sponsored friends in the area have been unsuccessful. 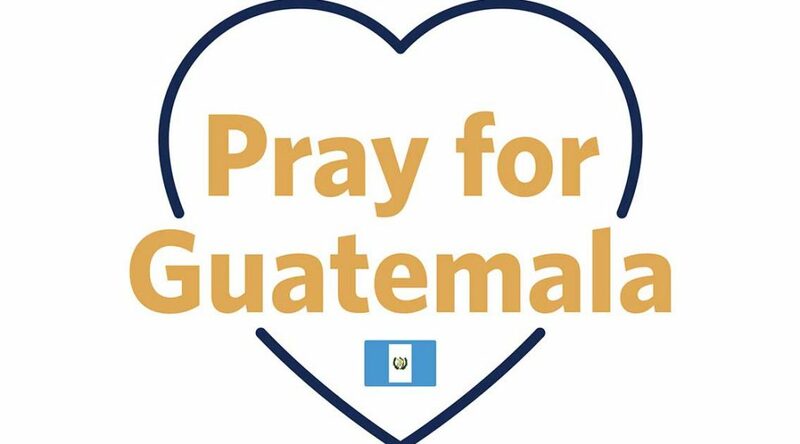 Additional volcanic activity and rain are complicating search-and-rescue efforts, but Unbound staff are on site providing direct support to displaced families, and more have joined from other regions of Guatemala to assist. Other areas where Unbound sponsored members reside are located outside of the immediate disaster zone, but have been seriously impacted by ash and debris, causing significant damage to homes and crops. 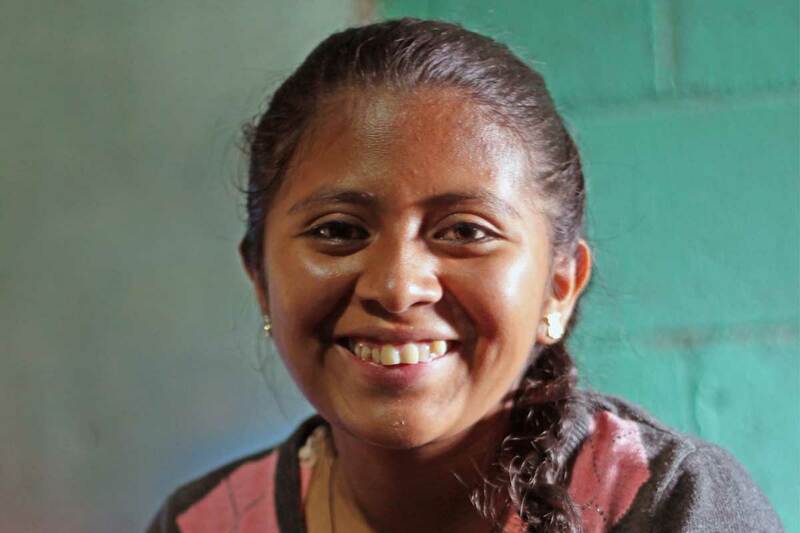 Unbound supports more than 68,000 children, youth and elders in Guatemala. Read more about the current and long-term challenges many families around the region face here. Unbound notifies sponsors personally if we learn that their sponsored friends have been injured or otherwise seriously impacted. Make sure your contact information is up to date by logging in to your account. Please be patient as local Unbound staff work to confirm families’ safety. Continue following this blog post or our Facebook page for additional updates. 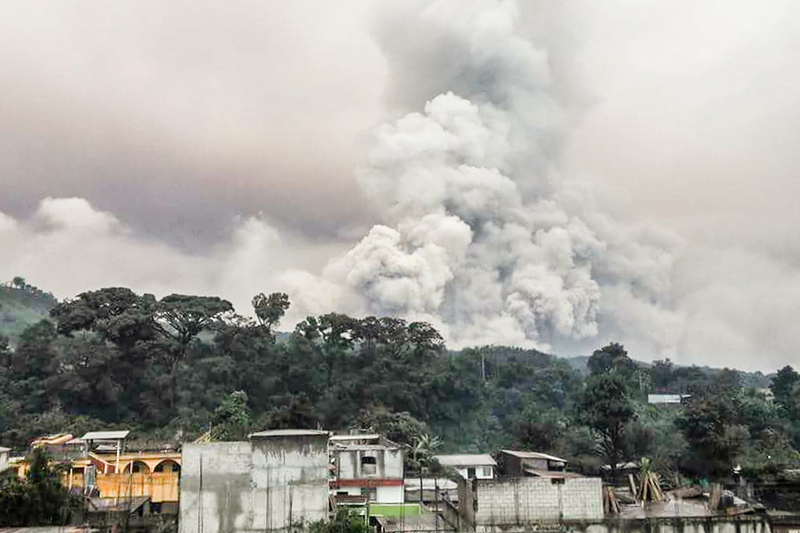 The ash plume from Guatemala’s Fuego volcano as seen by local Unbound staff. In the aftermath of Sunday’s eruption of the Fuego volcano in south-central Guatemala, Unbound staff members are continuing their efforts to contact sponsored persons and their families in the area. Unbound has identified 16 families who live in areas immediately impacted by the eruption. All are from the Unbound Hermano Pedro ECA program. It is possible that families in other local programs have also been affected, but these are the only ones we know about at this time. 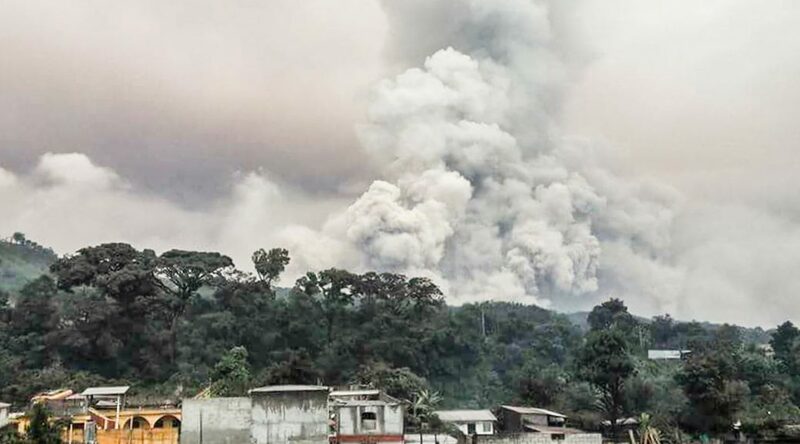 Oscar Tuch, communications liaison in Guatemala, reports that the affected families live in three villages within the area most immediately impacted by Sunday’s eruption. In times of natural disaster, Unbound notifies sponsors personally if we learn that their sponsored friends have been injured or otherwise seriously impacted, and we will be contacting the sponsors of those families directly. Unbound staff in Guatemala clean up ash after the Fuego volcano erupted. The village of El Rodeo was especially hard hit by the rapidly flowing lava and ash. Unbound staff members have been able to verify that some sponsored individuals and their families were evacuated to shelters and one is staying with relatives and receiving aid from Unbound, but as of this writing staff have been unable to contact the remaining families. Far beyond the area of immediate impact, many people, including members of the Unbound community, have lost crops as a result of the falling ash. “It’s probably safe to assume that this is the case for anyone sponsored through (Unbound’s local program) based out of Antigua,” Vowels said. 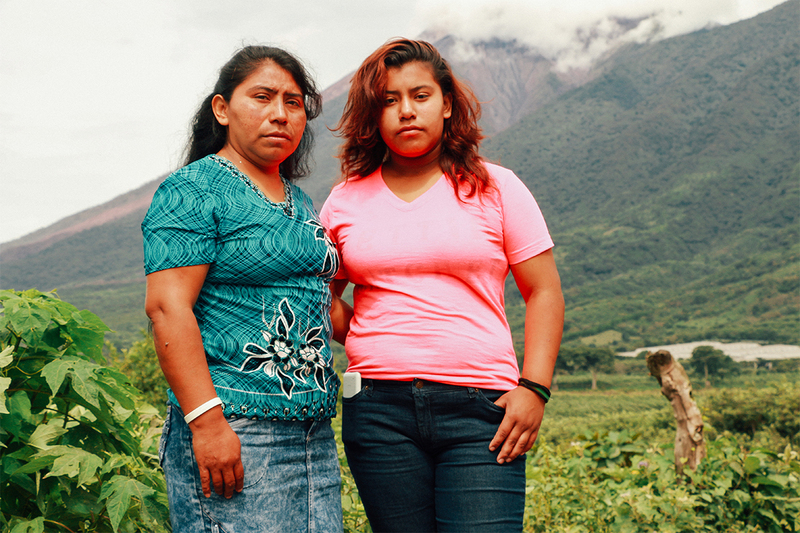 Since other Central and South American countries buy produce from Guatemala, the long-term consequences of the volcano erupting may be severe, Tuch said. According to CNN, at least 69 persons have been reported dead so far as a result of the volcano, but with rescue workers hampered by the intense conditions, it’s likely that number will rise in the coming days. Check here for updates. We’ll continue to update this story as we receive additional information. Transita smiles in welcome outside her home. I recently had a conversation with my grandmother about dreams. We talked about how sometimes they evolve as we mature, or even fade away to be replaced by new ones. I once dreamed of becoming a professional actress (I even started out as a theater major), but anyone who had seen me as a child with my nose constantly in a book wouldn’t be surprised to learn my dream had changed and I ended up as a writer/editor. What is true of most dreams is that, for them to become reality, they require hard work. For me that meant going back to get my master’s. Luckily, I received a teaching assistantship and had access to student loans to make my educational dreams a reality. But these resources aren’t always available in places where Unbound works, and even with an Unbound sponsorship, once a student reaches upper levels of education the cost may be more than she can afford. 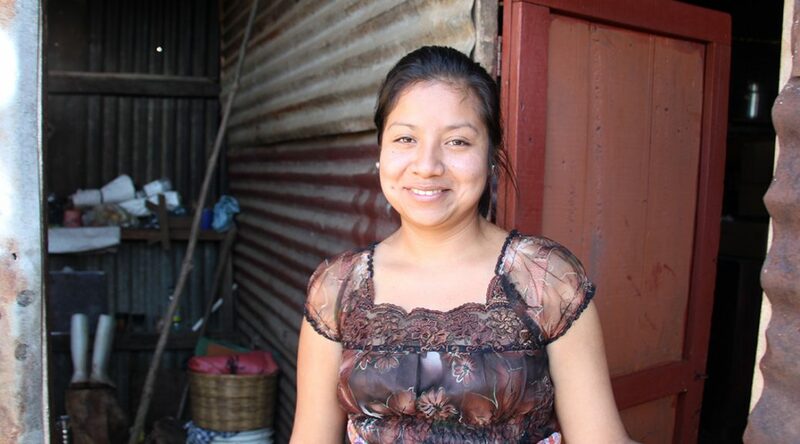 That was the reality Transita, 26, in Guatemala faced when she graduated high school in 2013. She’s been sponsored since 2003, but the many expenses that go along with college were simply more than the sponsorship could help with. 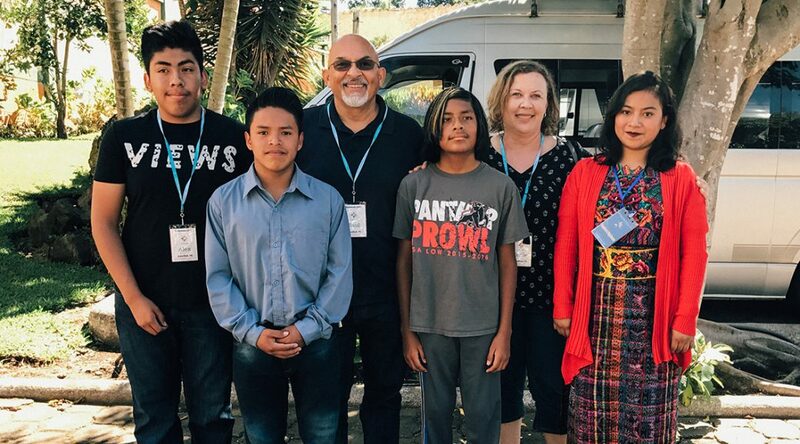 Cecile and Raul Villarreal with their sons, Alex (far left) and Lou (center), and their sponsored friends, Hector (second from left) and Magdalena (far right). 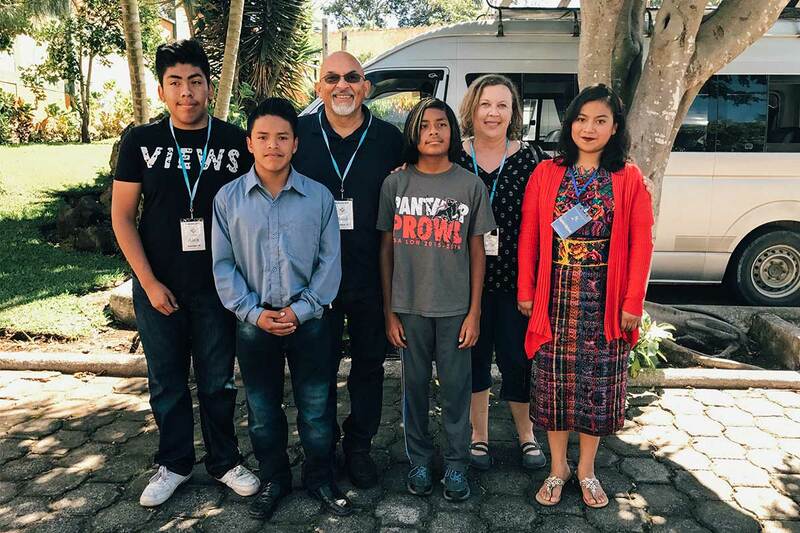 Last summer, Cecile Villarreal traveled with her husband, Raul, and two sons, Alex and Lou, to Guatemala on an Unbound awareness trip. Alex and Lou, who were adopted by Cecile and Raul, were born in Guatemala, and this was their first time visiting their birth country. In this interview, Cecile shares with contributing writer Maureen Lunn about taking an Unbound adventure with her family. Maureen: How long have you been involved with Unbound, and what led you to initially become a sponsor? 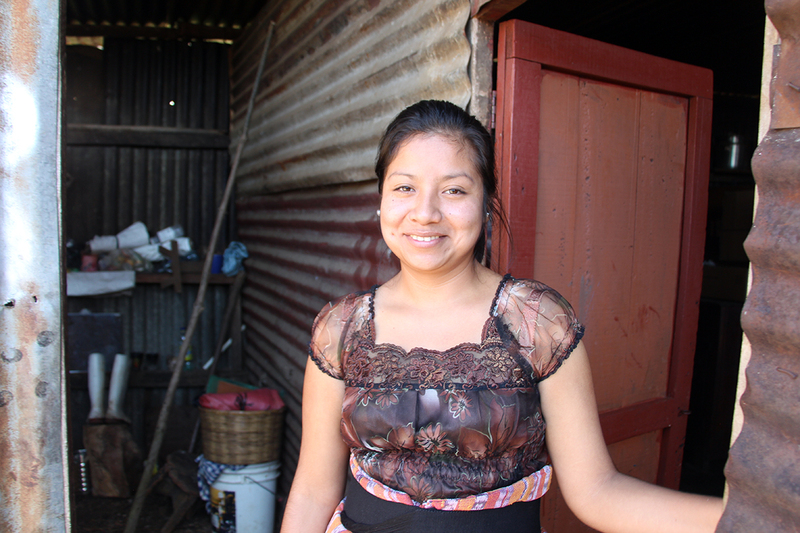 Cecile: We started sponsoring our first child, Magdalena, in 2005. We had adopted my oldest son, Alex, from Guatemala in 2000 and had become part of an association of parents who had done the same. In one of the association meetings, an adoptive parent introduced Unbound to us, and we picked Magdalena that very same day. 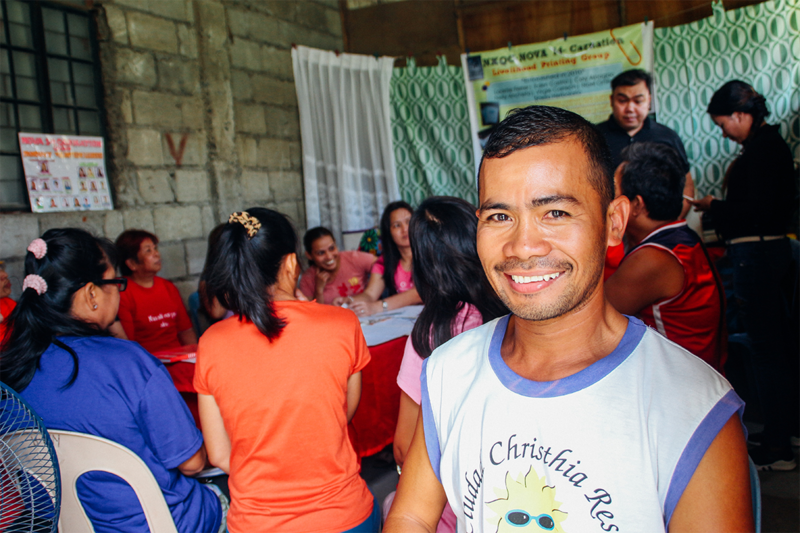 A few years later, we started sponsoring Manuelito. We felt that was a great way to be useful and to keep contact with our sons’ heritage. 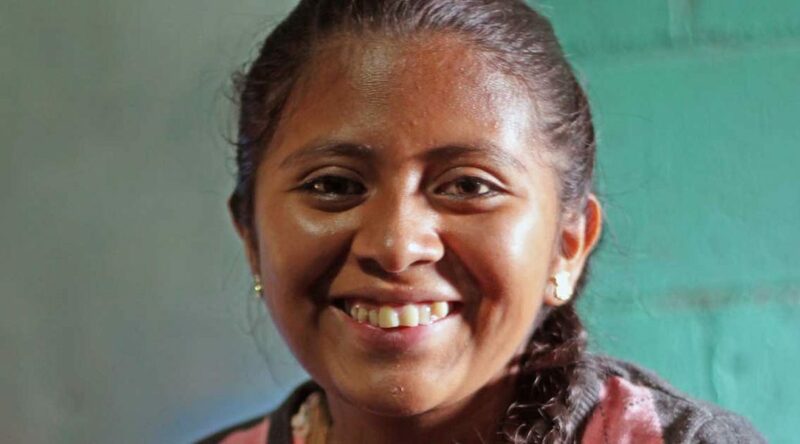 Sandra, a sponsored youth and Unbound scholar in El Salvador, logs many miles in her pursuit of an education. Her tenacity is serving her well as she makes steady progress toward a degree in English literature. This is the fourth and final post in a series of stories focusing on the challenges of finding adequate, affordable housing in the economically developing world. It is told through photographs and originally appeared in the Winter 2017 edition of our print publication Living Unbound. Poverty limits the creation of dreams, blocks visualization of goals and buries hopes. But poverty isn’t something everybody experiences in the same way. It’s an individual, personal and intricate problem. Some people face a lack of decent housing, while others have a hard time getting to school or just can’t pay for their next meal. The time and energy they spend on finding ways to solve their daily struggles takes away from the time, vision and resources they need to build a better future. Sandra, 23, always dreamed of attending college. 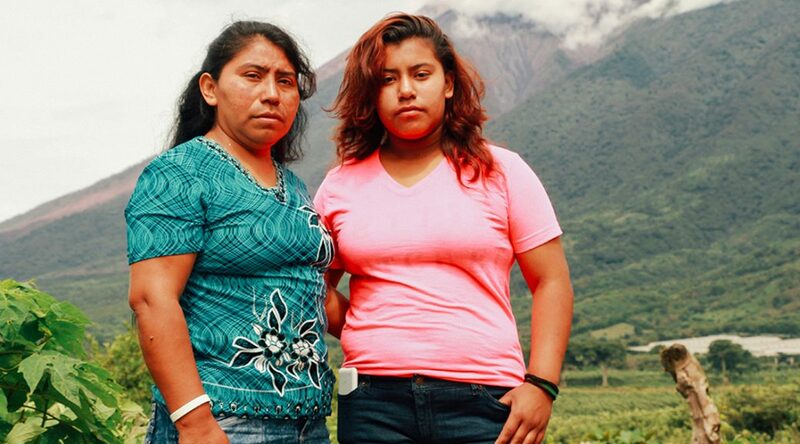 Her father, a coffee farmworker, and her mother, who works as a cook, barely earn enough to cover the needs of their family of five, and providing a college education for Sandra wasn’t a possibility. Unbound staff member Gaspar Baran Guoz talks with the mother of a sponsored child. Blessed Stanley Francis Rother was beatified Sept. 23 in Oklahoma City. It was the final step before formal recognition as a saint. Father Rother, an American priest who was martyred in Guatemala in 1981, was a contemporary of Unbound’s late co-founders Bob Hentzen and Jerry Tolle. Our organization has long felt a special affinity for Father Rother, who, in the Tz’utujil dialect of those he served, was affectionately called “Padre A’plas” (Father Francisco). Several of those who knew and worked with him are also members of the Unbound community. The following interview, which took place in Guatemala in October, is with one of those individuals. My name is Gaspar Baran Guoz. I live in the town of Cerro de Oro, in the Santiago Atitlan municipality. I was born and raised here. Thanks to God’s grace, I’m still part of Unbound. I’ve been working and serving the families for 35 years now. I don’t feel burdened for having worked all those years. On the contrary, I show the happiness I feel when I get to work, and feel the eagerness to continue helping the families.